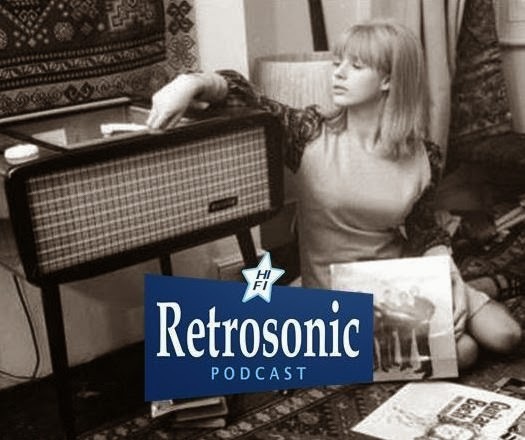 Retro Man Blog: Retrosonic Podcast Episode 13: "I Know How To Please You..."
Retrosonic Podcast Episode 13: "I Know How To Please You..."
Steve from Retro Man Blog, Rock Photographer Paul Slattery and Adam from The Jetsonics with the usual waffle, news and top tunes...This Episode features all the info about our exciting Medway Garage Rock gig on June 6th with Graham Day & The Forefathers, The Len Price 3 and Galileo 7 in conjunction with the new Countdown Publications book "The Kids Are All Square" by Ian Snowball and Bob Collins about the Medway music scene. Sticking with the Medway theme, there's classics from The Prisoners and Thee Mighty Caesars and we are very pleased to have an exclusive track from Galileo 7 from their forthcoming new album. Elsewhere there's groovy Psychedelia from Fogbound, The New Alchemy, The Sonic Jewels and The Chocolate Watchband, a Mod rarity from The Afex and some great Garage Rock from The Uniques and The Movements. We have another exclusive from the fantastic French Ye-Ye Beat group Les Kitschenettes, raw soul from Otis Clay and some classic Trojan Ska from Claudette...All this and news on the new Graham Day & The Forefathers limited edition 7" single on State Records and chat about our other upcoming Retro Man Blog gigs with The Len Price 3, The Jetsonics, The Fallen Leaves, The Transients, The WitchDoktors, King Salami & The Cumberland 3, The Superminx 70, The Past Tense and Les Kitschenettes and reports on recent gigs and happenings...You can listen and download all previous Episodes at our Retrosonic Soundcloud site here...In the meantime here's Episode 13...enjoy! Fuzzy Vox New Album "On Heat" Out Now!